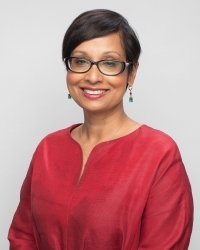 Dr. Cheryl Jaigobin is an associate professor in the Division of Neurology at the University of Toronto. She completed her medical degree and neurology residency at the University of Toronto. She also completed a fellowship in stroke at the University of Toronto and is part of the Toronto Western Hospital Stroke Program. She has participated in educational activities in undergraduate, postgraduate and fellowship programs at a local, provincial and national level. She was a member of the American Academy of Neurology Guidelines Development Committee and is currently a member of the Heart and Stroke Foundation of Ontario Professional Education Committee.